In an industry like ours, cleanliness is required during all steps in the carpet cleaning process. In addition to wearing booties on our shoes, we also use special blankets to protect your walls and furniture from any over-spray. We add corner guards to protect your walls from the hoses we use, and we use a clean mat where we can set out tools and equipment. When the carpet cleaning process is finished, we hand clean all the edges around the house to ensure it’s spotless. Our method of cleaning carpet is unique because we don’t offer just one method, we offer FIVE! Big Red’s Guaranteed Clean is the only carpet cleaning company in Omaha that provides 5 different methods of carpet cleaning. We don’t have a one-method-fits-all model or try to use “empowered water” like other companies. 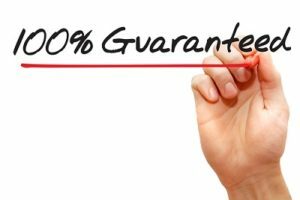 At Guaranteed Clean, we pick the method that best fits your situation! We also use a 6 step process for spot and stain removal. If you are interested in more details about each process, you can find that information here. Regardless of the method, we guarantee each client will love our service. We’re the best the in business for a reason. That’s why we won the Omaha Choice Awards Best Carpet Cleaner of 2018! Curious in finding out more? Contact us today.